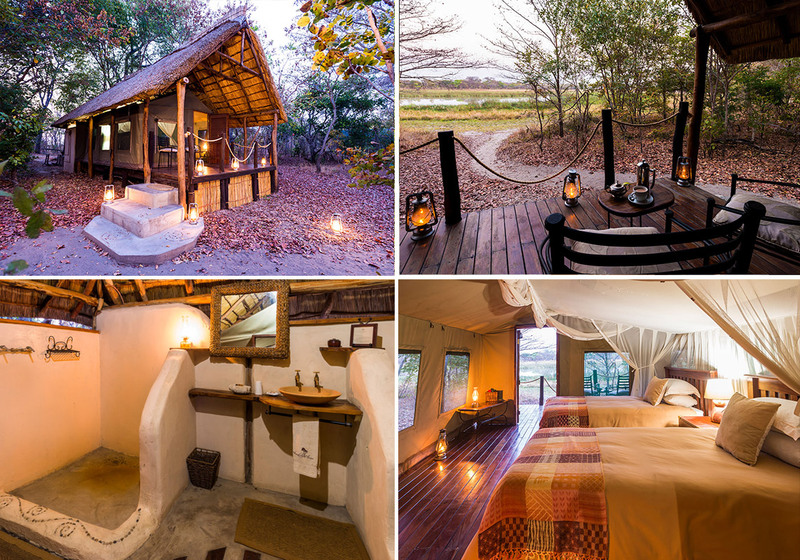 This month, we focus on Nanzhila Plains Safari Camp, which is the ideal combination of rustic simplicity and modern comfort for a luxury safari in Zambia’s Kafue National Park. Nestled under the trees that line the lush, green wetlands of the remote southern region of the Kafue National Park Nanzhila Plains is an intimate, luxury safari camp. The three thatched chalets and three meru-style safari tents are well-positioned to celebrate the surrounding environment, and the main areas offer expansive views of the distant landscape. 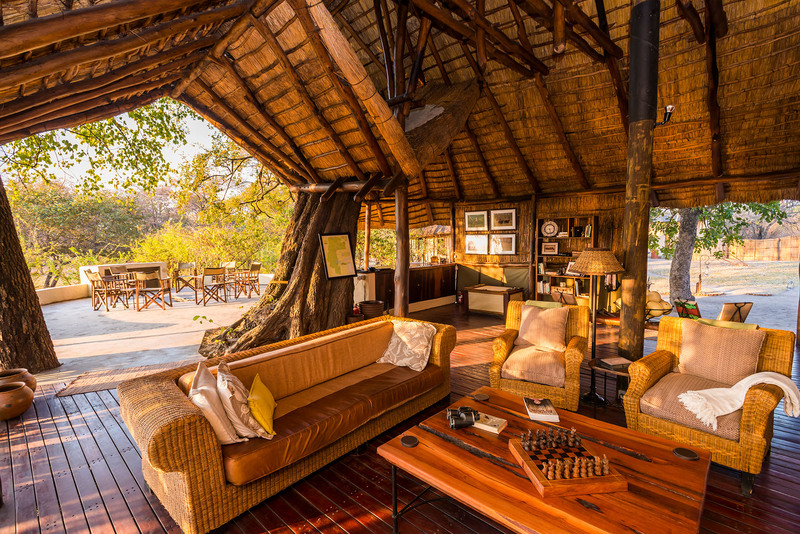 The main camp or ‘insaka’ incorporates a spacious teak deck that is covered in grass-thatching and elevated above the Nangandwe pool. The spacious and comfortably furnished lounge and dining area, bar and veranda have fantastic views of the wetlands beyond, where game and birds can be sighted going about their day-to-day business. The adjoining communal open-air fireplace is a great gathering place to exchange stories under a star-filled night. As the sun rises each morning, guests are welcome to pull up a chair and watch the bush come to life over a steaming cup of coffee. Thatched Chalets: The chalets nestle along the treeline, giving guests an unobstructed view of the wetlands from the comfort of their bed. Each chalet sleeps two people in a spacious, comfortable en-suite room that comes with hot and cold shower, toilet and double basins. The authentic safari camp experience is enhanced by paraffin lamps and hot water that is drawn from donkey boilers. Safari Tents: The meru-style safari tents can accommodate up to six people in total, and each has a separate, en-suite toilet, hot and cold shower and double basins. Their walk-in structures provide fantastic views of the bush and the wetlands. As with the chalets, the tents are lit by paraffin lamps and hot water is provided by donkey boilers. At Nanzhila Plains, there are endless opportunities for guests to sight lion, leopard, elephant and buffalo – four of the Big 5! There are also other special wildlife species such as cheetah, wild dog, hyena, zebra and warthog, which guests can be on the look out for whilst on a game drive in the Kafue National Park. Avid birders will be in paradise at Nanzhila Plains, as it’s home to 500 species, including wattled cranes, racket-tailed rollers, Pel’s Fishing Owl and Chaplin’s Barbet. Guests can spend the whole day in Kafue National Park, visiting the Elephant Orphanage Project, driving through the Ngoma Forest, and stopping at Lake Itezhi-tezhi. 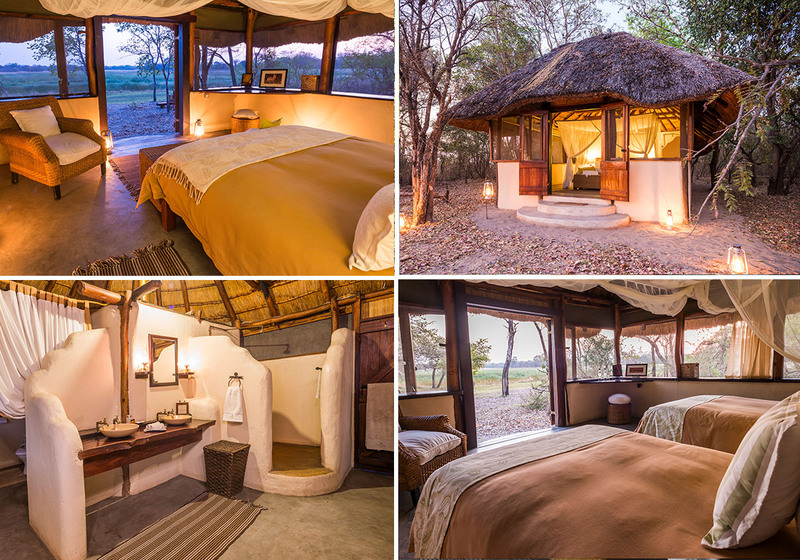 Nanzhila Plains is a comfortable three-hour drive from Harry Mwanga Nkumbula International Airport (Livingstone Airport) or town to the Kafue Park gate, followed by an exciting two-hour game drive to camp. Chat to us if you’re excited about having a safari tailormade to your specific travelling style, budget and interest.